c. For iPhone or iPad users, download the free app by searching “JoyLite” in “App Store”. c. Connect the router (Working Frequency: 2.4GHz, make sure DHCP of the router is on). 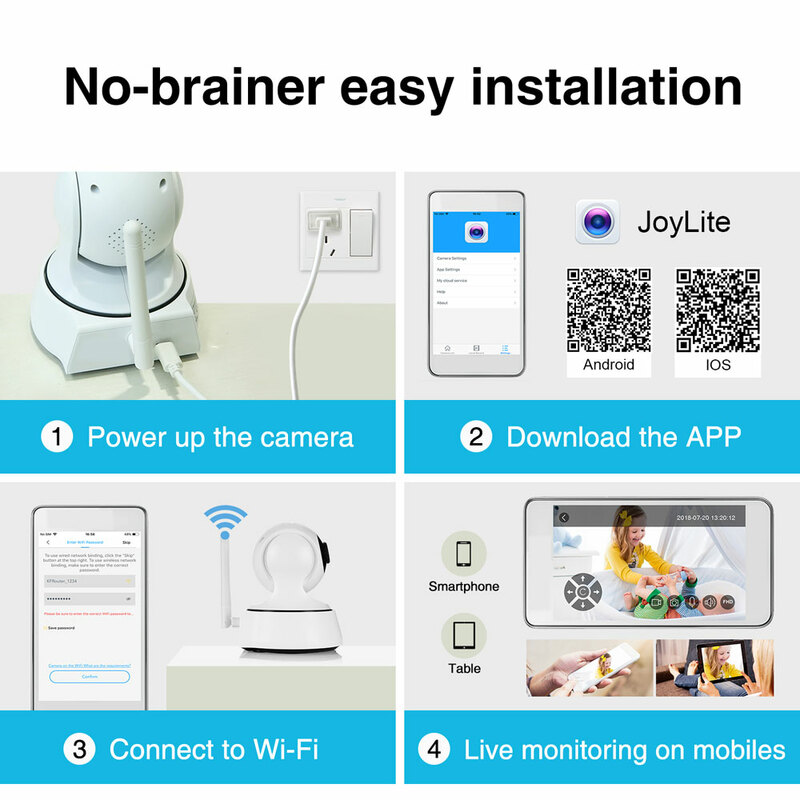 Insert one end of the Ethernet cable into the router and the other end into the Ethernet port of the IP camera, please wait for about one minute while the cameras is connecting to the router automatically(For devices without Ethernet port, please skip these steps). 1. Please make sure the WIFI Password is correct. 2. 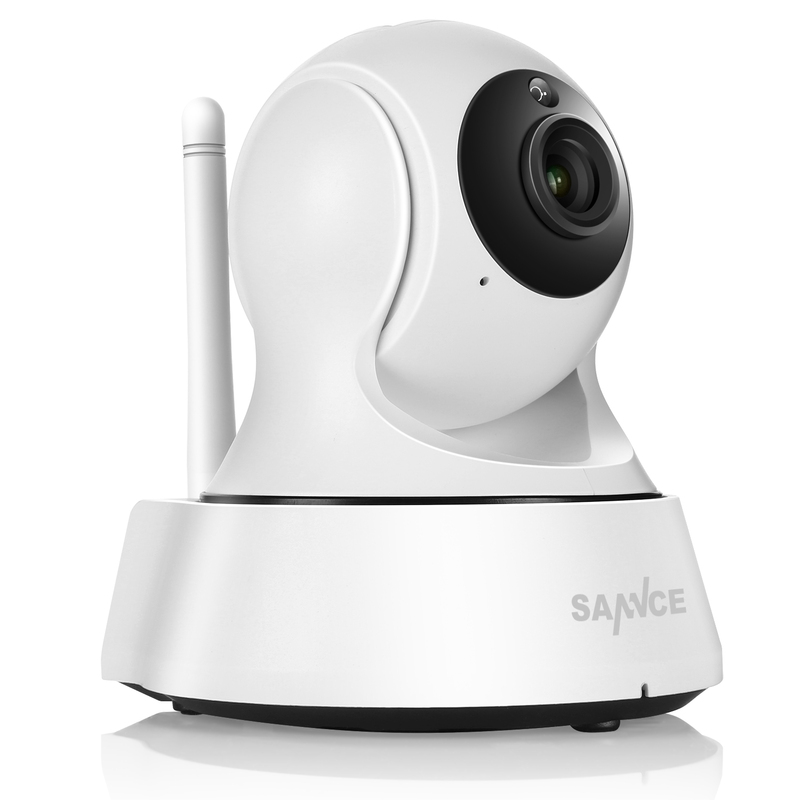 Please make sure the router signal is stable (place IP Camera close to your router for first connection is Recommended).The Camera will not work on a 5Ghz wireless standard at this time. If you have a dual-band router, be sure to segregate your wireless channels and connect the Camera to the 2.4ghz channel. 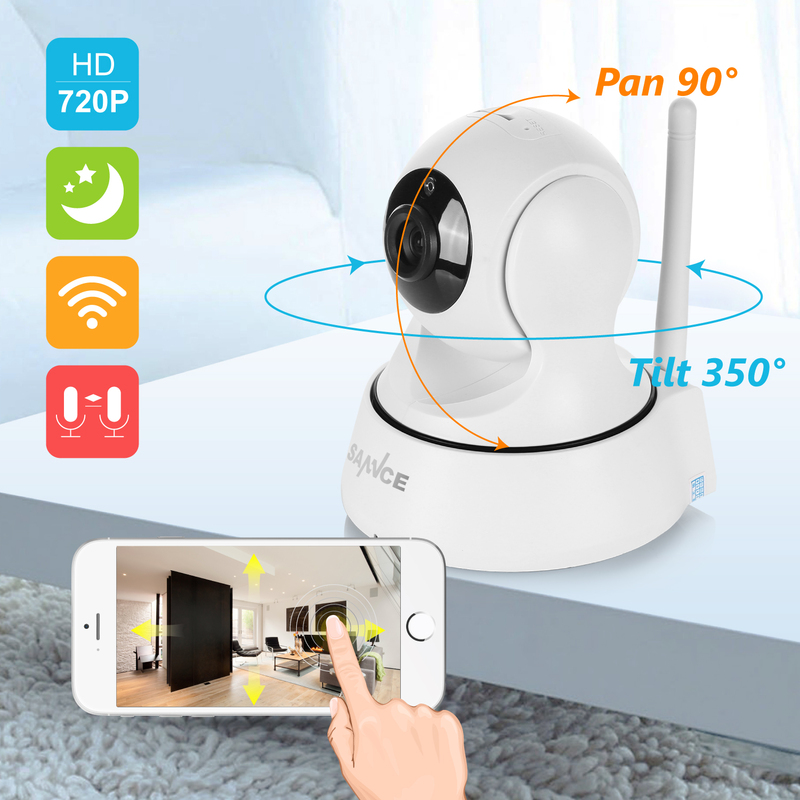 1.Why Reset: reset is used to boost the IP Camera system, which becomes more efficient to accept the unknown router and connect it. 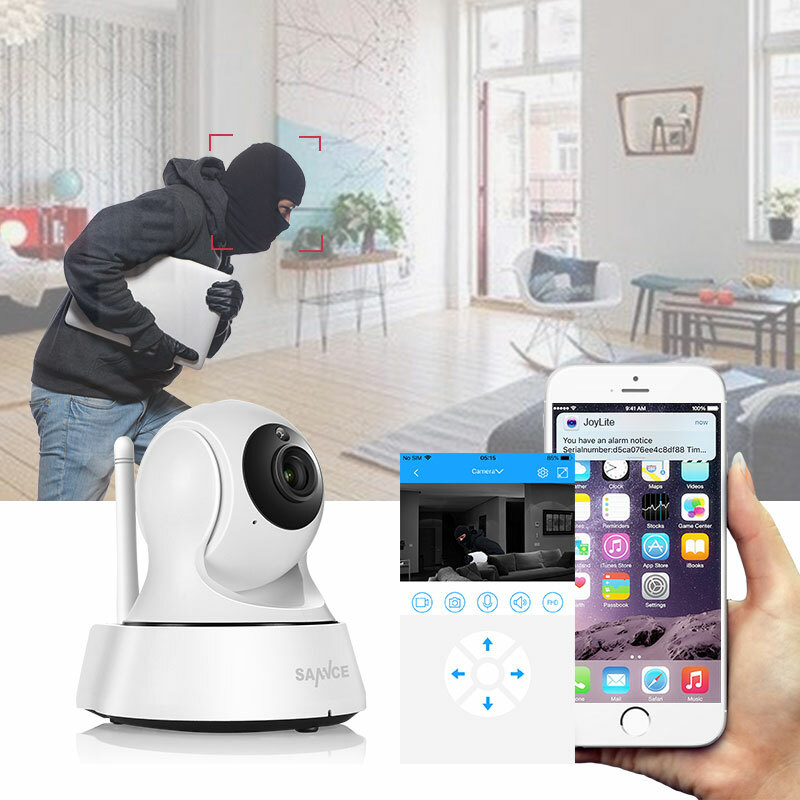 Any suspicious movement thrown into the camera’ eye will be detected and recorded, leaving thieves and robbers nowhere to hide. 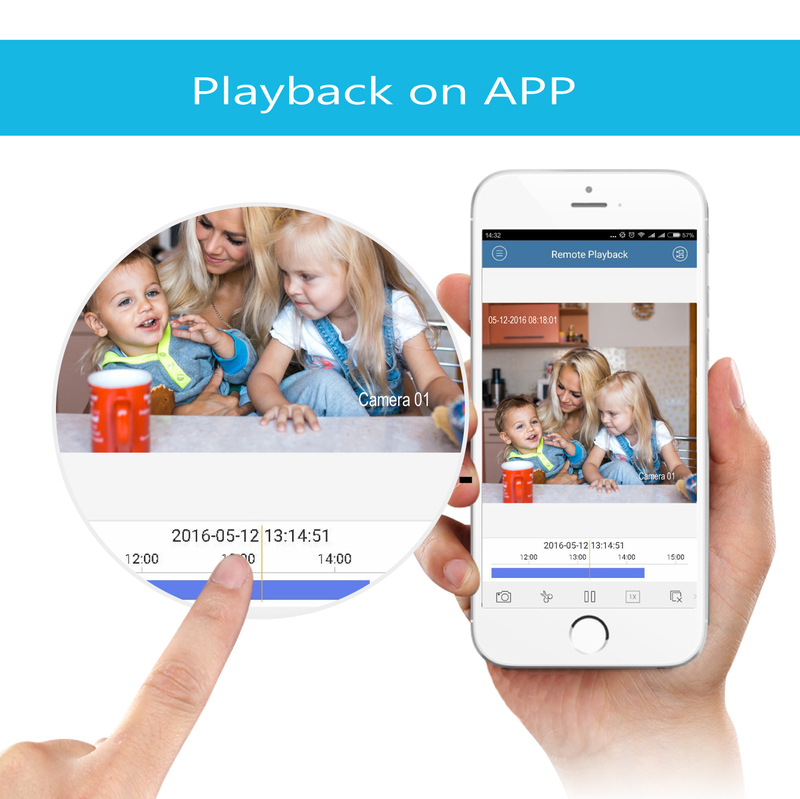 At the same time, you will receive instant APP alarm pushes on your smart devices wherever you are. I saw some comments against the camera setup theme. I can say that those opinions are of people who out of ignorance did not know how to install their devices. i at least i could and what i bought works perfectly. The supplier is recommended by the way. Hello! It was my first order and i got it. The tracking did not work immediately, but then everything was normalized. i opened the parcel, took a video, but until the camera turned on and did not adjust. In a couple of days i will adjust in a country house, there my vi-fi.... The goods came perfectly, very high quality and cute packaging ..!! All declared on the spot. The only thing alarming is the backlash in the rotating joints ..!? I have read about this before in the reviews, but i can not say anything-perhaps the specifics of the design...!? For delivery and decency of the store-definitely 5 (five)!!! I will check the camera, i will write .., and if i normally order more (from this seller). a while-thank you very much!!! The store is excellent. Sending fast. Already the fifth in the account. Everything works. It's okay! Delivery is fast, everything works. Could not deal with the connection, the store sociable sent the video to the Russian language and helped! Thank you! It was possible to connect only by video instruction of the store and only through the application joylite. There are no light indicators for the camera. Image average. The packaging is good, everything came intact. Works well. connected quickly. delivery to kiev 2 weeks. recommend! The camera itself is made very well. Quality plastic. Ordered for use as a video nanny. Everything quickly installed on the phone. There was no problem. But the image quality is certainly not 720. Otherwise everything is fine. Ordered 29.03, delivered 1.04 by courier home. A very good product. I recommend this store. March 31 ordered, april 4 courier delivered to the house. thanks to the store! The camera corresponds to the description. Delivery to moscow 3 days, courier to the door. Turned on and tuned without problems. Only does not blink the led. Good stuff for incredible price! Very good product! Faithful to the description, fast delivery and easy installation. Delivered in 4 days to the house right in hand. Super speed!!! Packed well, reliable. The camera is made qualitatively. Connected to the smartphone via the access point. Works great. The quality of the photo and video corresponds to 1280/720, even in low light, the picture is clear. Purchase satisfied. I recommend. The camera came very quickly, the quality is excellent! Thank you store!!! Returned from China Customs, received refund. No problem. 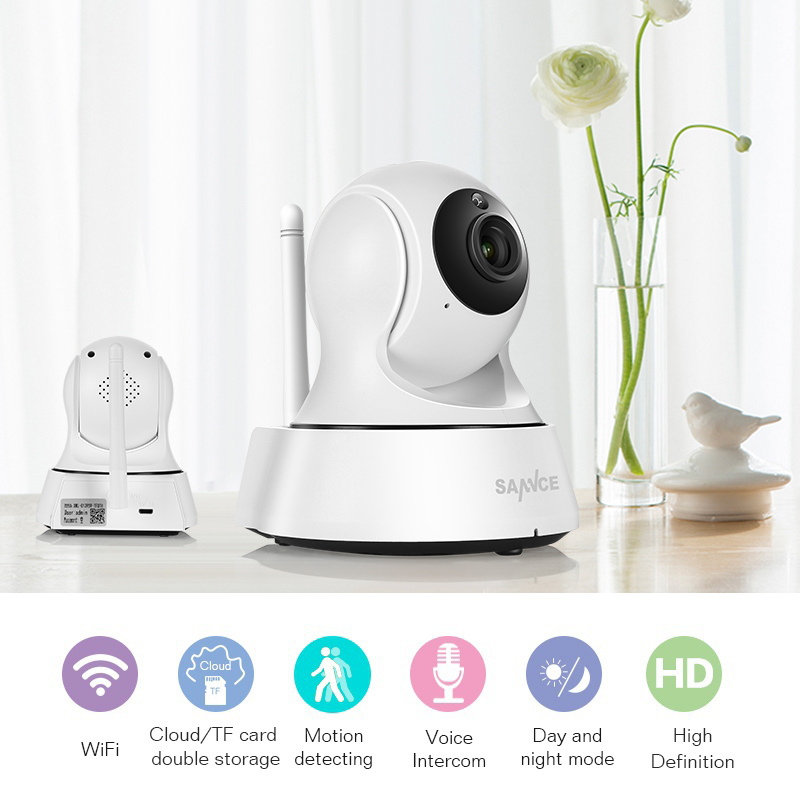 I ordered 2 cameras, quickly connected through the phone, the sound and shooting are excellent, while everything suits, sent quickly from the russian federation, the courier delivered to the apartment. Thanks to the store. Mega fast delivery!!!!! 3 days!!!! Real record. Packed perfectly. Made in appearance very well. And it's certainly small. According to the photo expected that there will be more. Later i will add on connection and shooting. I like the camera. it was not possible to connect it myself. Ask the store to immediately send video how to connect. It's wise there, you need to press the button periodically. From work i can watch what is happening at home. Fire in short. 2 days to the door a st. petersburg. I bought the second, everything is fine, setting up 2 minutes. Packaging is excellent. Corresponds to the description. Expectations have been met. Happy. For this money-the most it!!! i will order more.